Help! My employer is not the “right fit” for me…. What can I do? What can you do if work, is not working, for you? There are an abundance of posts about employees not being “the right fit” and what employers can do to exit them from their business. However, little is written about what an employee can do when they discover their employer is no longer the “right fit” for them. Most employees stick it out until it becomes unbearable and eventually they either raise a grievance or just walk away. The former normally results in the employee leaving anyway and the later seems a little unfair especially if, as is often the case, the change in circumstances is down to the employer’s actions e.g. changing their management structure, methods of working or location. Is there a third option? Well yes, the “negotiated exit”. 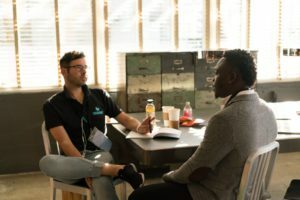 At any stage of employment, and for any reason, it is possible that an employee or employer may seek to negotiate a settlement in return for the employee leaving the employment. The advantages are clear, a clean break with everyone wishing each other well, workplace friction avoided, long and often unsatisfying and unsatisfactory grievance procedure avoided and therefore time and money well spent. Negotiating an exit, and the terms of a subsequent settlement agreement can be a daunting prospect for some people, especially where the relationship is more strained or has broken down completely. Where this is the case, we can deal directly with your employer or work in the background, whichever you prefer. We will provide you with clear guidance and advice on how to approach the negotiation, what is realistic for you to achieve and a bank of sound arguments to present to your employer.